Joint group of Croatian companies have successfully participated at the Bakutel exhibition for several years; this participation yielded good results, which is certainly very encouraging. Today, at our national stand, we represent both new companies, and for a long time known in the Azerbaijani market. Among them, the Span company which was opened in Azerbaijan in 2016 and is well-known all over the world. It works in many areas, but the main ones are Microsoft products. FactoryX provides customers with its best services. This company introduced a special application for retirement homes based on the Microsoft platform to Azerbaijani market. It combines all the functions of the organisation; from taking a person to the retirement house through to therapeutic treatment. 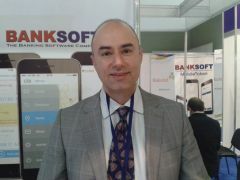 BankSoft is well known in Azerbaijan and works with one of the largest banks, by providing special software for the banking system. Strateg is a new company within the national stand and is engaged in the field of tourism and MerSistem is engaged in the development of safety programs for aviation.